Today on the show, quarterback Kirk Cousins joins Bryce. He was a star at Michigan State before being drafted in 2012 by the Washington Redskins. 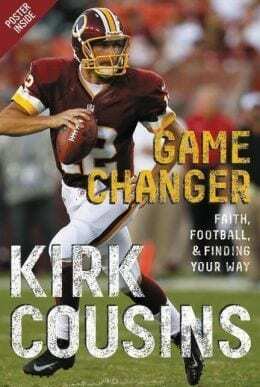 He has a new book out called “Game Changer – Faith, Football, and Finding Your Way.” Kirk tells Bryce how his mindset is different going into this season, how his faith grew during his rookie year, and what music he listens to before games. 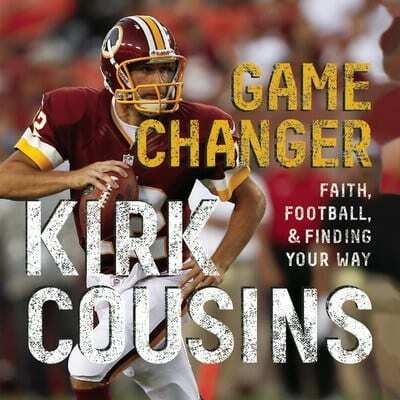 Plus, Kirk shares a couple key chapters in his book about friendships and role models. Click here to listen to Bryce’s full interview with Kirk Cousins. BRYCE JOHNSON: What has your transition been like from Michigan St. to Washington? BRYCE JOHNSON: Last year you were heading into your Rookie season, so how has your mindset changed from last summer to this year going into your second season? KIRK COUSINS: Well, last year I was coming in just trying to get a feel for everything. I didn’t know what to expect, didn’t quite know how things were run, and now I have a much better understanding. I now understand from an offensive perspective what I need to be doing. Also, from off the field I have a better feel for everything. Just the experience factor going into my year two is going to help me quite a bit. That’s why I’m so excited for year two and hopefully take a step forward from year one. BRYCE JOHNSON: What areas of your life, and most importantly in your faith, did you grow during that first season in the NFL? KIRK COUSINS: Because of the nature of being a rookie, it’s your first time out there…you’re in a new part of the country…you’re all by yourself…you have a job where you could easily be cut or traded at anytime, it’s not the most stable career. As a result, you end up looking outside of yourself for help. I found myself looking up quite a bit and on my knees praying – just asking God for guidance and direction. I felt like the Holy Spirit was faithful to me all last season and guided me through what was a very tough transition from college to pros. BRYCE JOHNSON: You wrote a chapter in your new book (Game Changer) with the title, “Friends are a Big Deal.” Why did you feel led to include a chapter about friends? Charles Stanley’s wisdom and understanding of walking daily with God is so profound and his new book is fantastic. Prayer is vital to our daily relationship with God, and Charles Stanley provides practical advice and his own experiences on how we can understand the role of prayer even better because we can have an ultimate conversation with the Creator of the universe. I’m always encouraged and challenged after reading one of Charles Stanley’s books, and this one is no different. I recently got back from my honeymoon in Jamaica, and I had a wonderful time with my new wife. The country is amazing and the people are so nice and easy-going. They always answer “no problem” and I’ve tried to take that mentality back to my day-to-day life. I also had a wonderful conversation with a coconut painter who loves Jesus. It’s so much fun to hear how God is working, even while at a resort on the beaches of Jamaica. – I’m convinced…the Super Bowl Champion Baltimore Ravens will miss the playoffs. – I’m convinced…Andrew Luck will have the best encore season of all the rookies from last year. – I’m convinced…the St. Louis Rams will be the most improved team this season. – I’m convinced…Larry Fitzgerald will have a huge bounce back year with Carson Palmer as his new quarterback. This column was published in the August 2013 Sports Spectrum DigiMag. 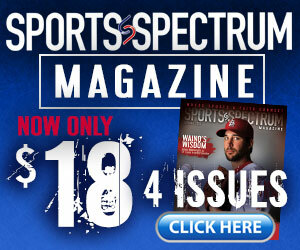 Print and digital subscribers, log in and view the issue here. Bryce is the host of the “Unpackin’ It” faith and sports podcast. Follow Bryce on Twitter-@BRYCERADIO.